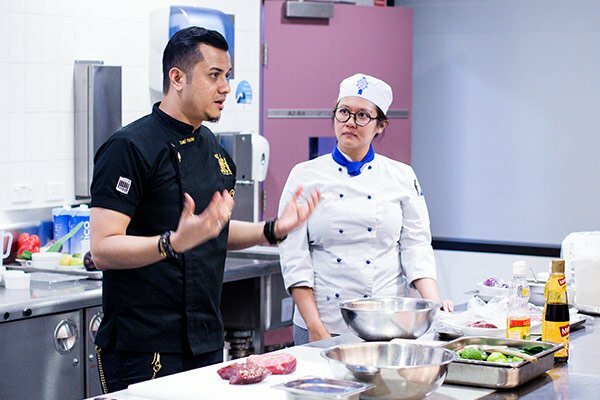 Le Cordon Bleu was delighted to sponsor Le Cordon Bleu Paris alumnus and Malaysian celebrity chef Dato Fazley Yaakob for a series of masterclasses in May. 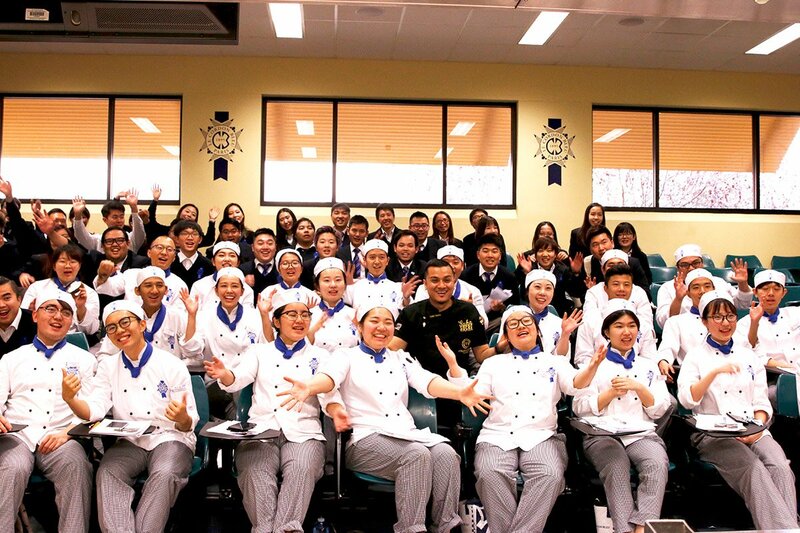 Le Cordon Bleu students across Adelaide, Melbourne and Sydney were entertained and educated by Chef Dato’s recipe presentations and enjoyed replicating his dishes in three interactive sessions. 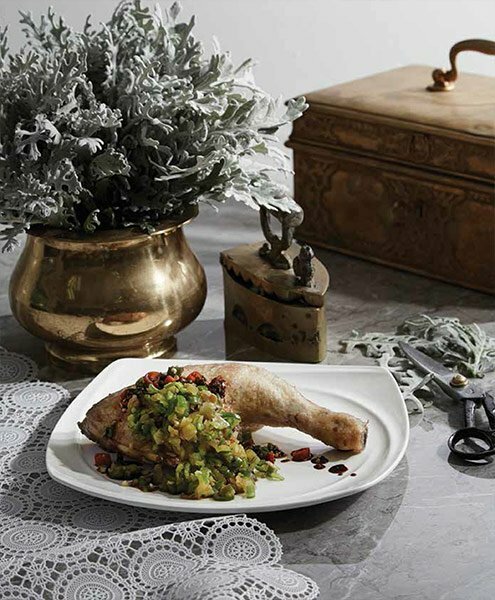 In each of his three Australian masterclass sessions, Chef Dato Fazley Yaakob presented his POP Chicken with Green Sambal & Smoked Beef with Fiery Chilli and Green Starfruit to excited Le Cordon Bleu students. On 3 May, Dato thrilled Adelaide Le Cordon Bleu students with a masterclass and recipe demonstration at Le Cordon Bleu Adelaide. 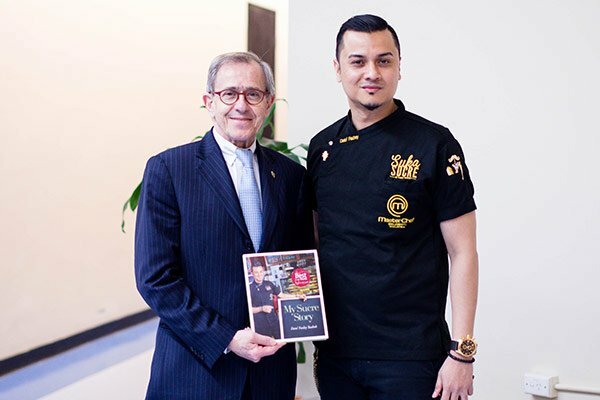 As part of his culinary roadshow, Dato also visited Le Cordon Bleu in Sydney and Melbourne where he presented his dishes to delighted Le Cordon Bleu students. Dato rose to international fame after winning the first season of the Malaysian MasterChef 2012. In addition to his high profile role as a celebrity chef he is also known as a singer, motivational speaker, TV host, businessman, writer and social media influencer with over 900,000 Facebook followers. 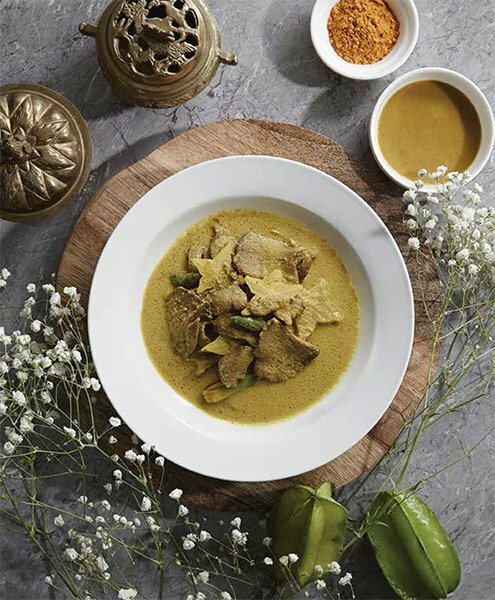 He is the author of four books including My Sucre Story, a Malaysian-French fusion cookbook published in 2015 which traces his journey from childhood to studying at Le Cordon Bleu in Malaysia and Paris.